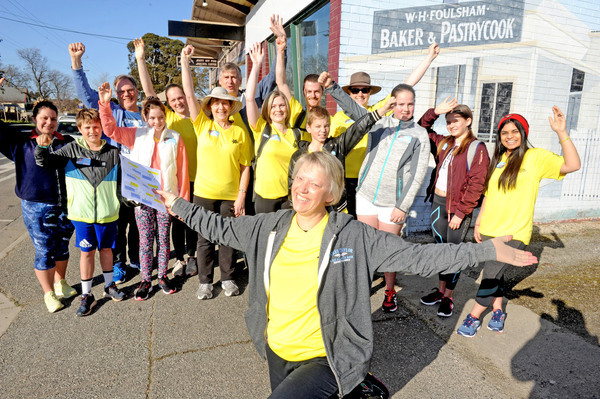 A cancer survivor has been overwhelmingly backed by friends and family during an inspirational 32-kilometre walk in the South East. Denise Lyons’s attempt at completing her second Annie’s Walk was cruelled by an excruciating foot-ligament injury, plantar fasciitis. Ironically, the Dandenong Hospital personal assistant’s condition is a side-effect from cancer-preventing medication. Despite chronic pain, Ms Lyons still managed to walk 10 kilometres of the fundraising trek on 8 September. In support, she was joined by a flock of 35 walkers. “I had a bit of sadness I couldn’t do the whole walk. Six completed the whole route – her son Sam, nieces Greta, Jenny and Louise, sister-in-law Lucy and friend Candice. Many had never walked anywhere near the distance, and sported painful blisters by journey’s end. 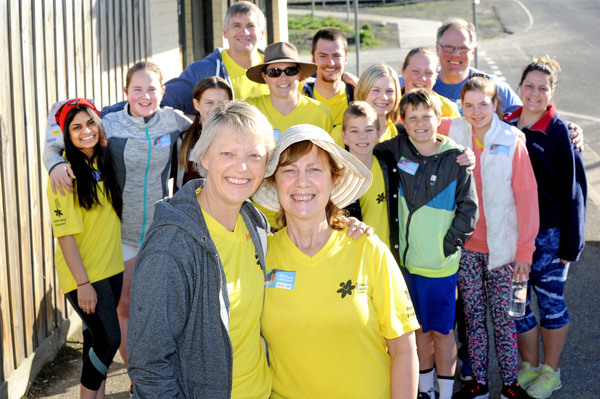 She marvelled at her walkers’ enthusiasm – including Jenny taking a pre-dawn train from Geelong to reach the start line, and others who trained for weeks. All of her children took part – perhaps a sign of the deep impact Ms Lyons’s illness had on them. Each walker waited and then crossed the finish line as a pack at the gates of St Kevin’s church. “Five of the six ended up with terrible blisters but at the end of the walk, there was so much joy. Ms Lyons finished the inaugural walk in 2017, in memory of her late sister Annie who succumbed to cancer. 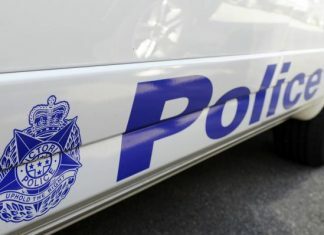 The walk traced Annie’s life – starting at the family home of her childhood Nar Nar Goon and ending at the place of her funeral St Kevin’s Catholic Church, Hampton Park. 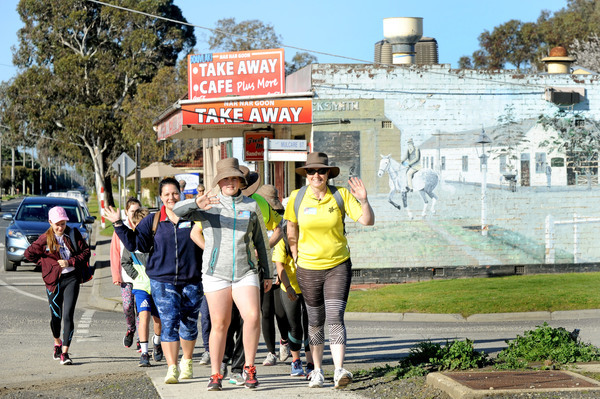 Through the two walks, Ms Lyons has raised more than $8000 for Cancer Council Victoria.